Logo designs are often overused. A number of companies tend to use the same concept repeatedly without bothering to change the subject or the modifying the design to look different. They mostly make a few changes to the logo colour or letters that other brands or companies may have used several times. There are situations in which getting an overused logo is the only way to run the company because the budget laid out for selecting and making a logo is too small to appoint a professional logo designer or agency to create new designs. It is often seen that small-scale companies end up conducting logo design contests where a number of people submit their work that contain overused or monotonous logo designs. The nature of a business is also a deciding factor in how unique its logo would be. For a photographer, a dentist, an attorney, a real estate agency or for a provider of financial services, logo designing can be a tricky thing to do because of the similarity in the nature of the work field. Conducting a logo design contest and expecting unique logos for these jobs can lead to disappointment and despair. This is primarily because most dentists, photographers and attorneys from a particular town use the same method to get their logo designed by designers. They would put up similar advertisements that have the same old titles. This will naturally not be as interesting to skilled logo designers who consider designing as their passion instead of doing it all for money. Every other day I find new logo design contests that are titled like, “Family Dentistry Looking For A New Logo” or “Design An Award-Winning Logo For *put name here* Capital”. These kinds of contests would eventually lead to the production of overused logos because there is nothing new to add to it. Especially overused for Oil&Energy, plumbing, etc. Especially overused for Web 2.0s and online services. It is true that some businesses tend to get only overused logos but even they have a scope to introduce creativity in their work. Attracting skilled and efficient logo designers might seem like a daunting task but it can be easily achieved by going that extra mile. Once they are convinced that their work will not lead to monotony and plain old recreation of the same thing, they would definitely want to work for you, even if they are paid more handsomely by another dentist. The trick is to find the one element in your business that stands out from the rest and to use it to your advantage. Introduce that element and use the logo to highlight it. It might as well become a new way of representing your business and eventually enhance your credentials. Uniqueness and creativity never go in vain. If you feel that your company is just like any other in the market, do invest some time to find out what is that one factor you would want the world to know about your work. Ask yourself; “what makes it my own company?” The answer is the solution to all your problems and to a never-seen-before logo design! I bet the list could go on, but this is by far the best collection available right now. Thanks for putting this together. 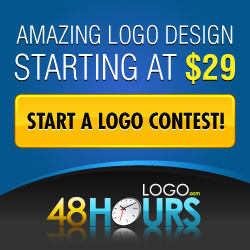 Next post: Why Are Logo Design Contests So Popular Today? I'm a logo design specialist & passionate blogger who shows you important logo design tips. Enjoy reading! Do You Know How to Copyright or Trademark Your Logo? All trademarks shown on this site are the property of their respective owners.